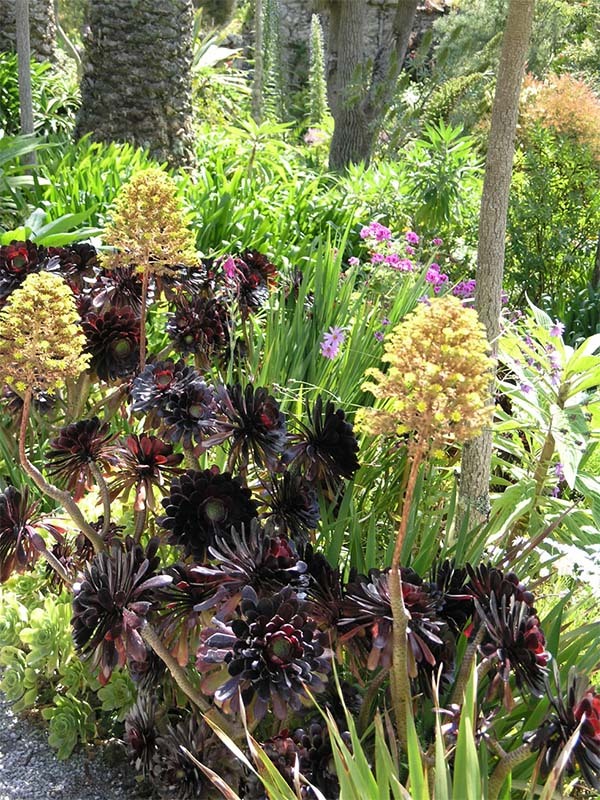 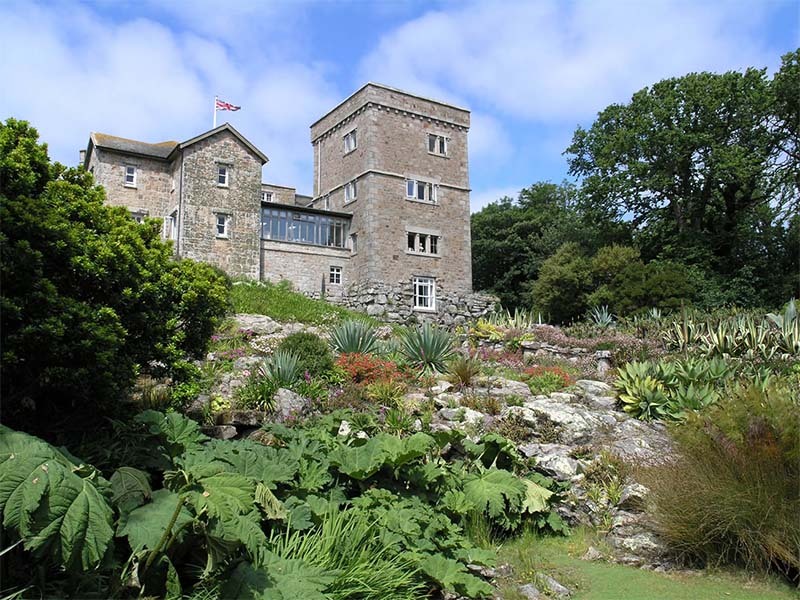 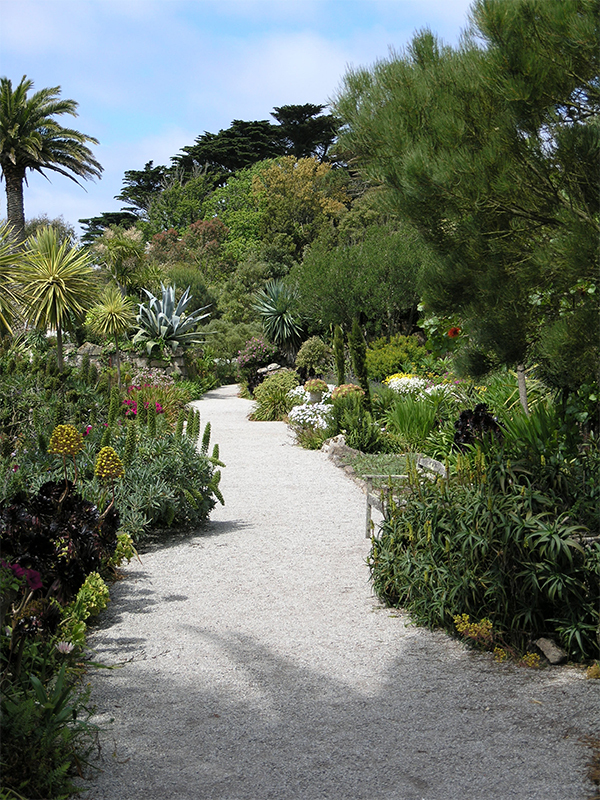 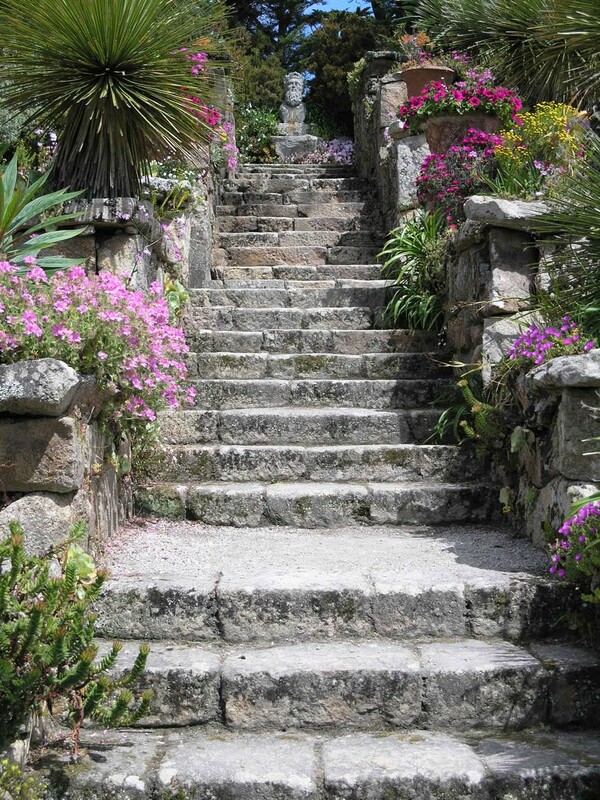 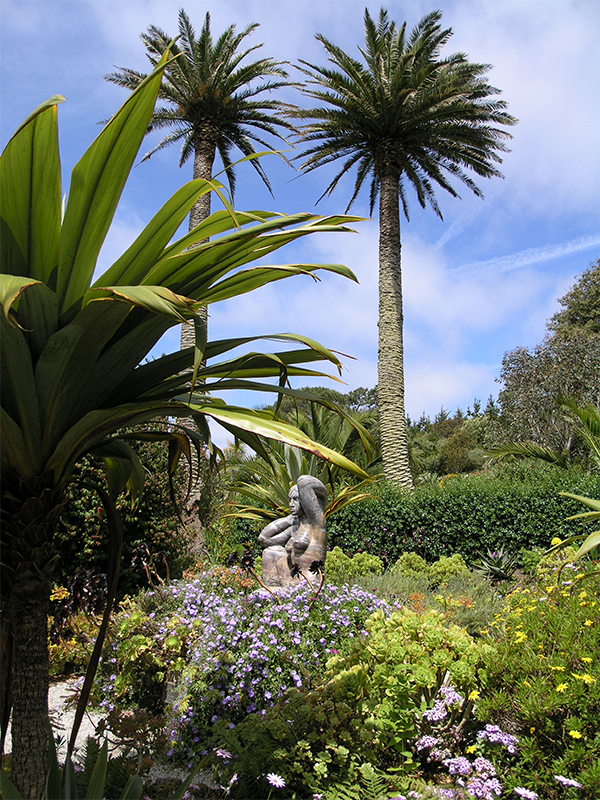 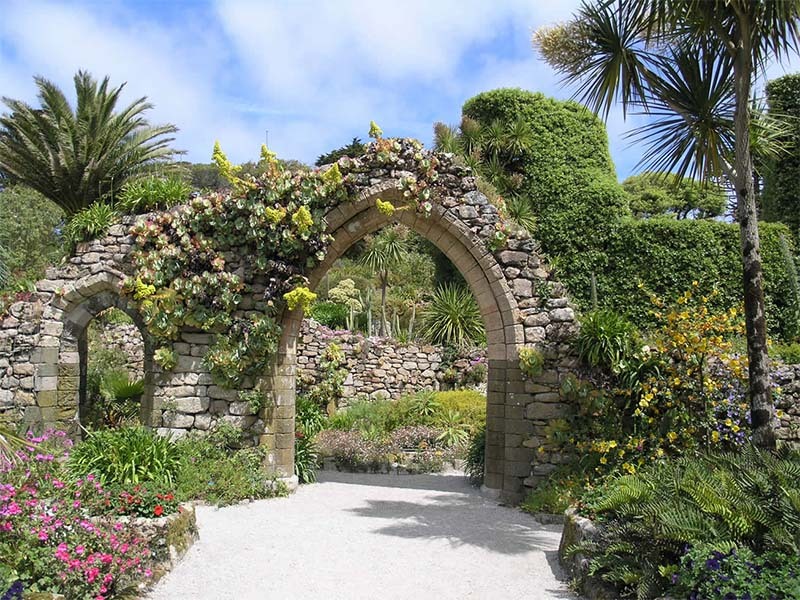 The sub-tropical Abbey Garden is a glorious exception; a perennial Kew without the glass, home to thousands of exotic plants from around the world flourishing right here on the Isles of Scilly… Here off the coast of Cornwall, Spring comes early, autumn stays late and winter hardly exists at all. 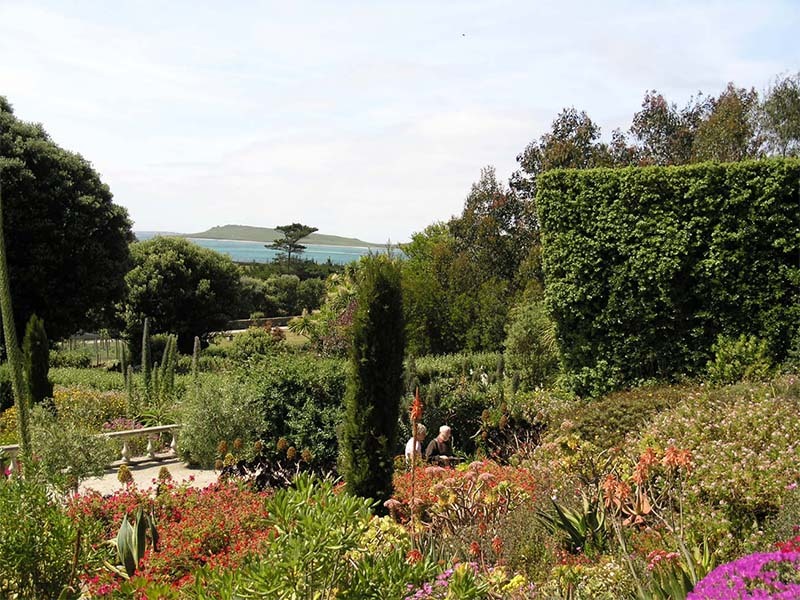 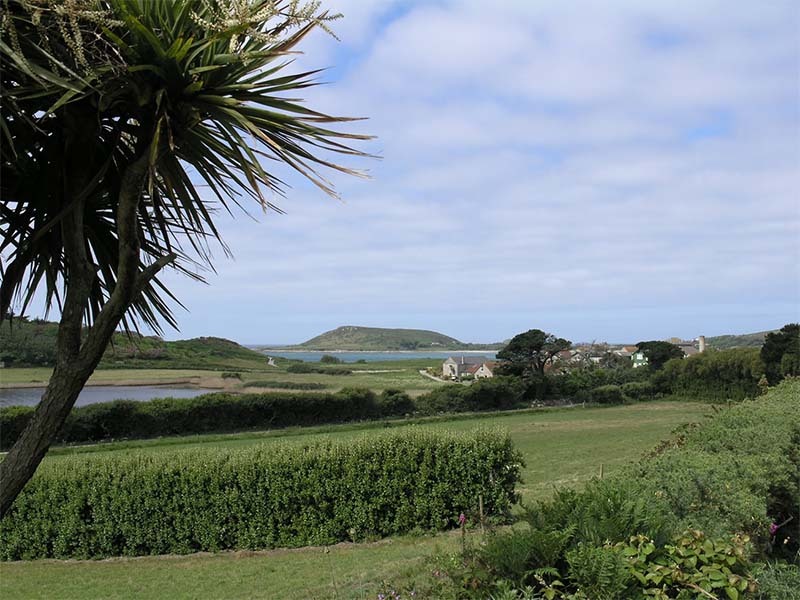 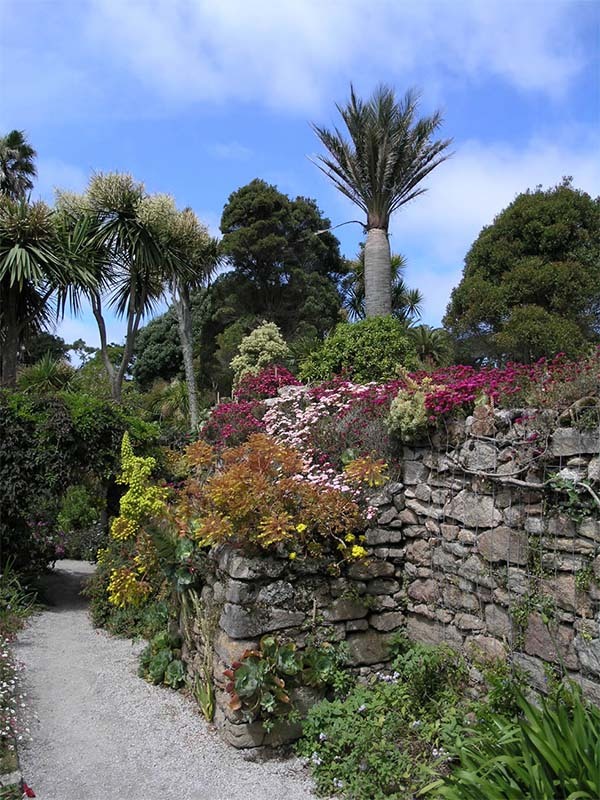 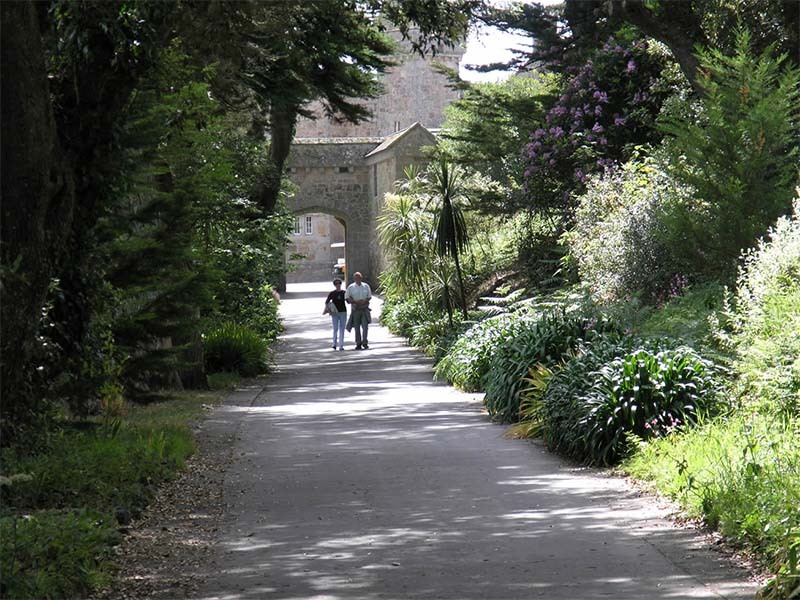 Truly a subtropical paradise, Tresco Abbey Garden is brimming with plants that would stand no chance at all just 30 miles away on the Cornish mainland. 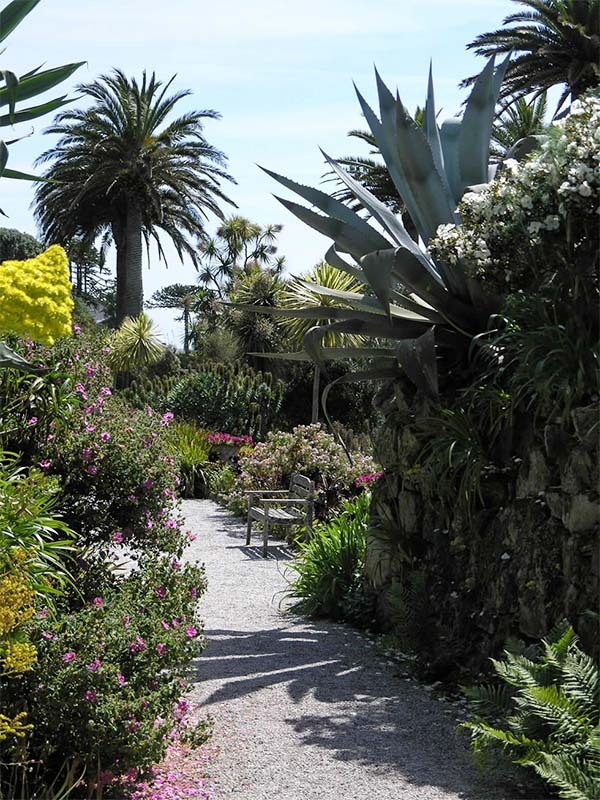  The beautiful garden, built in the 19th century around the ruins of a Benedictine Abbey, is home to species from across the world’s Mediterranean climate zones, from Brazil to New Zealand and Burma to South Africa. 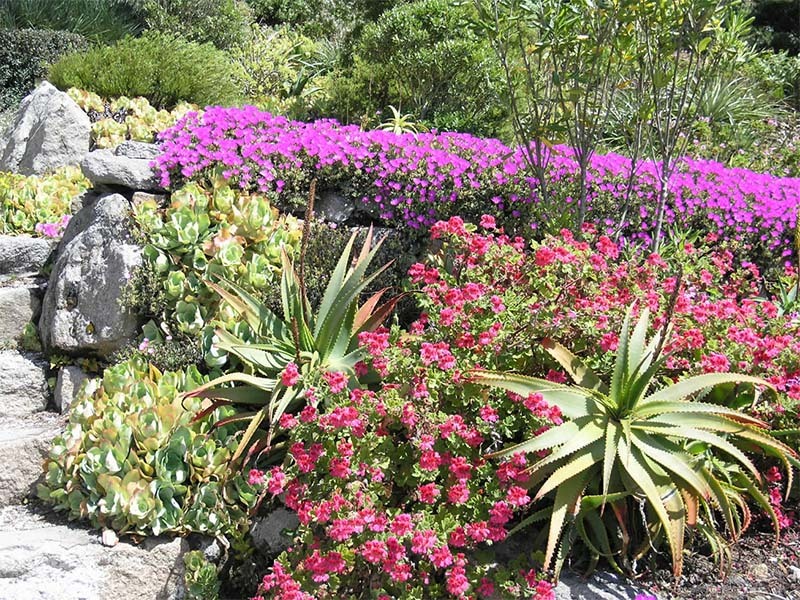 The face of the garden changes throughout the year. 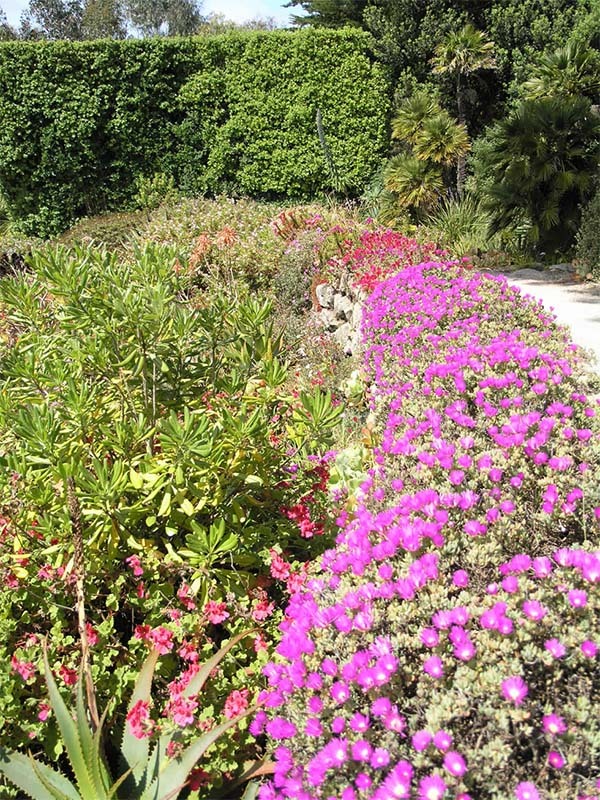 In spring flowers bloom weeks ahead of those on the mainland – the perfect tonic after a long, cold winter. 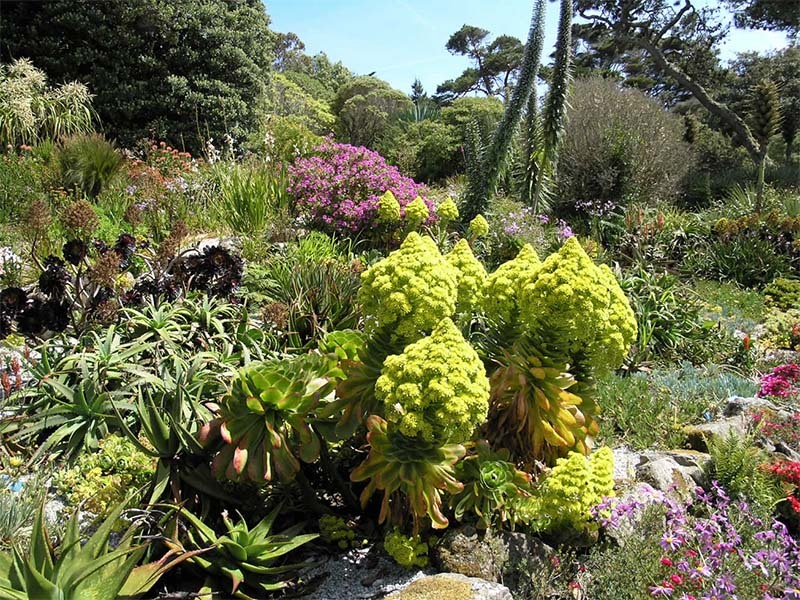 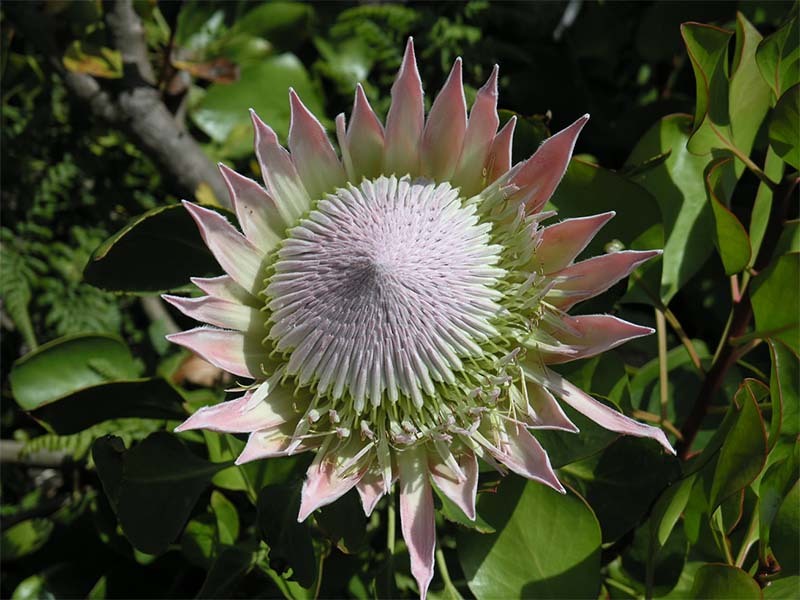 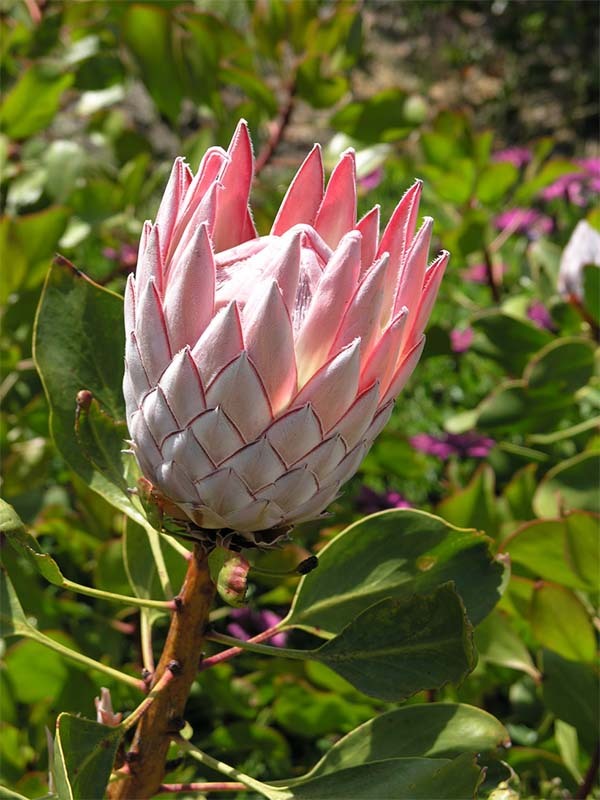 In the autumn the reds, golds and ambers of the seasonal foliage contrast with the magnificent proteas, aloes and camellias.